“YES” Such a simple word, but holds so much meaning. “Do you believe in God?” If your life depended on your answer to that question; what would you say? Would you answer “no” because that is what the killer wants or would you say “yes” and risk getting shot and dying for your faith. Well, Cassie Bernall’s life was taken away because she answered, “Yes” to that powerful question. 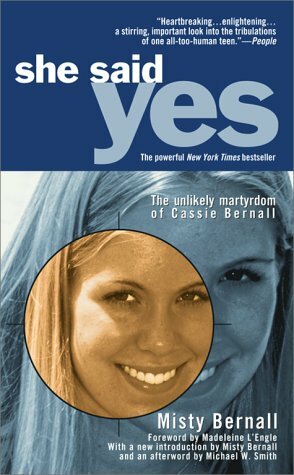 Her devastating story is told in a very sad and overwhelming non-fiction book called, She Said Yes: The Unlikely Martyrdom of Cassie Bernall. 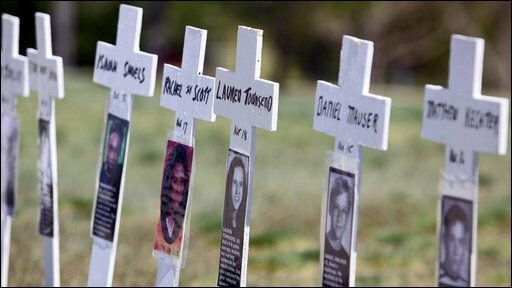 My mother is a teacher and when she heard about the Columbine shooting, she was very distraught and could not believe that just a couple of teenagers could take so many lives. By her being a teacher, it scared her, to think that students could kill their own teachers, friends, even enemies. So of course, when She Said Yes came out and became popular she automatically went to the store and bought it. Since the news story behind Cassie’s book story was so well-known, more people were interested in reading about what it was like to be in that school on that historic day. After my mother read it, she offered it to me as a very insightful and inspiring book. After reading it I got an insight on what Cassie’s family went through on April 20, 1999 and the weeks after. She Said Yes changed my outlook on life and the importance of faith and family. Before even reading the book, as a reader I understood the background of the story. 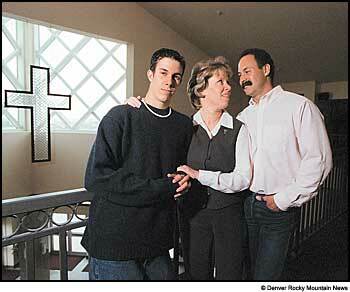 However, this story goes deep within one of the lost lives and the whole Bernall family’s reactions on losing Cassie. Each chapter is about a different person’s perspectives, thoughts and what happened to them on that fateful day. When I read the chapter about Cassie’s brother and how he luckily was able to get out of the school by running and never looking back. Hoping and praying that his sister got out too, until later finding out the worst, that she wasn’t that lucky. While reading about what was going through his head while running out of the school, how he was positive that Cassie got out and what he was thinking when he found out that she was dead; I was crying. Just because it was his sister, his own blood, his best friend dead; while he was lucky enough to get away. It made me think about those precious last moments they had together. Maybe saying to each other, “Have a good day” or “See you after school” just like they had any other day however not knowing that that would be the last time they would talk or see each other again. This story taught me to always appreciate my family and the times we spend together because you never know when it will be the last. Many people have been inspired from Cassie’s story, because it showed people not to be scared of being outspoken about their faith. To hear that a teenager was threatened with death is scary and heartbreaking. However, Cassie looked death right in the eye and stated her faith proudly. She was not afraid of what would happen because she had trust in God. Her story was so overwhelming and pure, that a band Flyleaf made a song about her story called, “Cassie”. The song’s lyrics are so raw and honest, they are very inspirational. This story definitely influenced the types of books I am interested in now. This is because I love reading about real events and the people who went them. I think that the right kind of non-fiction books are very motivating and can teach anyone morals about life. It devastates me that there are such stories out there; I wish that none of these events had to happen to make such stories. However, when an incident like this happens, there are always so many moving and encouraging stories to read about and learn from. Previous Man, I Wish I Lived in a Disney Movie! Next Who cares about that movie, let’s talk about that Product Placement?